Daniel Hawkesworth has led Arron James to success, re-branding the company and aiding the company to soar in sales and lettings figures since he joined in 2012. With prior experience at one of the leading corporate estate agencies in the UK, Daniel was brought to Arron James as the branch manager and following his successful impact, progressed to become the new Director in partnership with Daniel Famili. 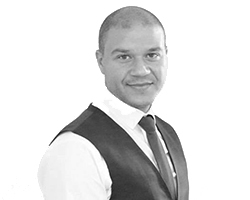 Daniel has been in estate agency for over 14 years, quickly progressing from the position of sales negotiator to branch manager following his successes for one of the UK’s largest corporate estate agencies. Guiding the team to new heights, Daniel was awarded the top negotiator in the Middlesex region year on year. His determined ambitious attitude led him to his final position as the company director of Arron James. Carl joined Arron James back in 2014 and comes from a very experienced sales back ground. 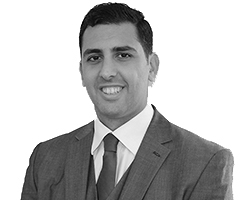 Since joining the team he has excelled in the estate agency business and been promoted to Branch Manager and is a key member of the team. 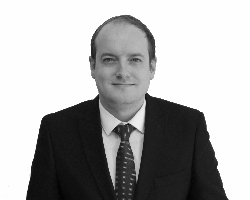 Carl has enquired extensive local knowledge he has proven again and again his credentials in estate agency. With Carl leading the team, 100% is always guaranteed. With prior experience within management and the marketing industry Kelly has now become the Office Manager within the Hillingdon branch. Her main passion and focus is the branding for Arron James and ensuring the Marketing is seen and heard across all avenues. 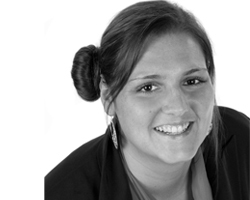 Jenni has performed as a dedicated member of the property management centre throughout her 10 years with Arron James, dealing with landlords and tenants to ensure the smooth functioning of the company. She has been an asset to the team, developing an excellent rapport with customers and consistently maintaining a hard working attitude. 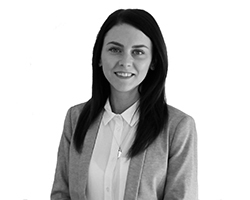 Louise McNab is one of our newest recruits brining with her an immediate passion for the property industry having successfully managed properties before on a personal basis. 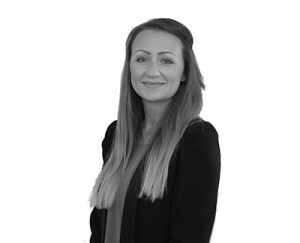 Louise is currently studying with Propertymark, one of the leading companies used by Estate Agents nationwide to enhance her knowledge of Sales & Lettings. 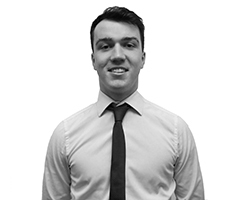 Conor Rogan left his long standing role within the sports industry to start a new career as a trainee Sales Consultant with Arron James. He is a young, hardworking, passionate individual who has shown he is all of these things in such a short space of time. His potential to become a fantastic Sales Consultant is very clear as he is already enjoying the fast pace of sales. 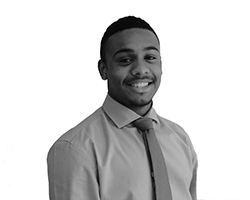 Chrishan has come to Arron James with previous knowledge within the Sales industry for Land & Property. Whilst he is a confident young man he is also fully motivated to achieve great things within his role and for his clients. The competitive side may arise from time to time as Chrishan is very much into sports and excels in all areas of his life. Arron James was recommended to us by a friend who was already using them to let his property. We contacted them and were put through to Damon who came and viewed the property the next day and agreed a rental price with us. By 4:00pm that day (Thursday) our property was on Right Move and Zoopla with an open day arranged for Saturday. On Monday Damon called to say that we had 2 asking price offers to rent! A week later, gas safe is done, references are in and the new tenants are moving in! Could not have asked for more, Damon has been fantastic. So far the whole process has been easy and hassle free, just what we were looking for! I moved down to the area at very short notice to start a new job, and so it was incredibly stressful for me to try find a place that was happy with given I had so little time. Several estate agents made my life very difficult, not returning calls and e-mails - the same, however, cannot be said for Alanna. Right from the moment I contacted her she treated my situation with passion and professionalism, a welcome change from my previous experiences. Alanna showed me around several properties, providing excellent insight into each one, as well as sharing her great knowledge of the local area; on top of this she provided clear and honest advice on what I should do that was always in my interests rather than her own. After I found my perfect property - a place that she herself recommended I look around - Alanna frequently went above and beyond her role requirements to provide the highest standard of service: staying late after work so my documents would be able to be processed as soon as possible, and even taking time out of her Sunday to make sure moving-in went as smoothly as possible. Without the incredible enthusiasm and support of Alanna I am sure I would not have found a property that ticks all the boxes I wanted when I initially set out looking, my experience was both enjoyable and successful because of her - as a professional, and as a person, I could not recommend Alanna highly enough. My tenant had just departed and I was looking for a quick let and my incumbent agent seemed at little complacent and were taking their time. So I went out to the market and Carl and Alanna at Arron James took up the challenge to find me a tenant. The service was professional, honest, and speedy. They really go the extra mile, which being an IT professional I have no time to devote to new tenants. Great Letting Sales professionals. Acting as Executor, I expected to receive an excellent service from an estate agent that would be flexible to my requirements. After carrying out research on many estate agents, I decided that Arron James matched my criteria. I was not disappointed with the exceptional service I received from the whole team. The initial marketing and planning for the open day resulted in numerous viewings with plenty of offers exceeding the asking price to choose from. After selecting a buyer Arron James continued to monitor the conveyancing procedure from start to finish, which infact only took six weeks. How could I not recommend Arron James when I would use their professional services again!!! "As this was my first time renting in the UK, I wasn’t aware of what the procedure was with renting a new property, luckily Damon was on hand to help with all the answers to the questions I had. He made the process as pain free as possible, and anytime I called he was always available to assist with any queries I had." "Arron James were selling a house that as soon as we saw the ad for, we knew we wanted, but we had yet to put our property on the market. We soon found Arron James to be highly professional, honest and extremely helpful. Dan was able to work with us to quickly secure multiple offers for us to chose from and we also, despite the competitive market, managed to secure our dream house." "I was very much delighted that Damon managed to secure me accommodation within a very short period of time. I am really grateful to you all and I have recommended you to many of my friends, thanks a lot. It was a very great service, the way you treated my family was warm, cheerful & delightful.Thanks again." "I decided to try Arron James estate agents as a friend had used them in the sale of her property and all seemed to go smoothly for them. We had looked into local agents within the Watford area however none showed the professionalism and enthusiasm that Dan & Carl did from Arron James. At the market appraisal they priced our property above the other agents and organised an open house within four days."